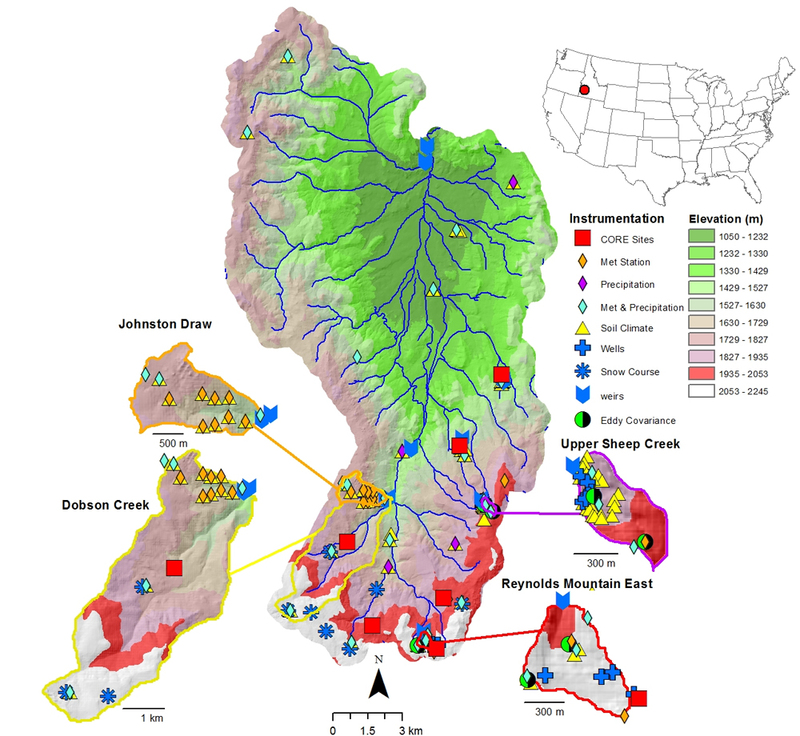 The Reynolds Creek Experimental Watershed in Idaho, outfitted with monitoring equipment for scientific study more than 50 years ago, will soon support expanded research vital to understanding the direct impacts of climate change near Earth’s surface. It is one of the newest Critical Zone Observatories funded by the National Science Foundation, bringing the total to 10. Reynolds Creek flows through southwest Idaho. It’s fed by mountain snowpack and runoff from nearby banks. There’s not much civilization nearby, but there are plenty of trees. Most are evergreens, but invasive junipers have started to take root. The watershed’s extensive history as a research center, operated by the U.S. Department of Agriculture – Agricultural Research Service, will allow climate scientists to begin with a database spanning more than half a century. After those data are shared with the NSF, new data will be logged by a team of researchers led by Idaho State University. Investigators from Boise State University and the U.S. Department of Agriculture will assist as recipients of sub-awards in a grant from the NSF that totals $2.5 million. 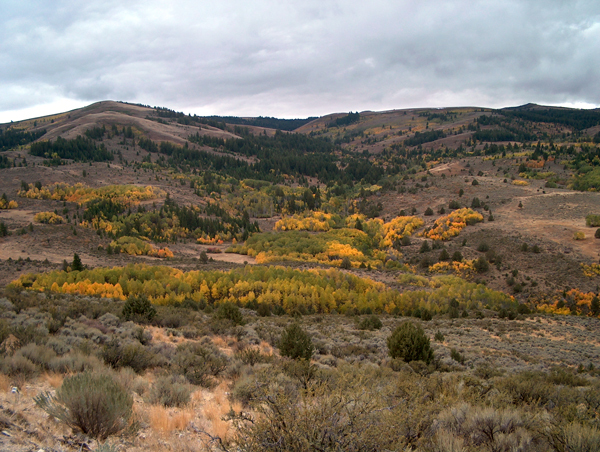 “One of the main limits on modelers is forcing data,” said Kathleen Lohse, associate professor of soil and watershed biogeochemistry at Idaho State University and director of the Reynolds Creek CZO. “We already have a large set of gauges that have collected from 1962” and there is a lot of data to share. Like the rain gauges, much of the monitoring equipment needed to study the watershed is already there. At least 28 precipitation monitoring stations are set up. A number of snow measurements are logged there too. Five eddy covariance towers are set up in high altitude locations to study the exchange of carbon dioxide between the forest and the atmosphere. Thirty-two stations track soil moisture. And weirs on 10 streams help sensors measure stream temperature across the watershed. “That’s one reason why we felt it was a really great candidate (to become a CZO). In a lot of ways, it already is,” said Lohse. But the different collaborators on the project (Lohse says there are at least 15 researchers) can’t just plug into the existing network. The watershed provides a lot of infrastructure, but a great deal of footwork will be needed to make sure the team gets the measurements it needs. To get the right snapshots, existing eddy covariance towers will be reconfigured and re-deployed along an elevational gradient. Highly instrumented pipes will run in the same areas. And core monitoring stations will be upgraded. Many of the measurements will be combined to figure out what mechanisms control the exchange of carbon and water between the atmosphere and ecosystem to find what areas are carbon sinks or sources. Those include soil carbon, temperature and moisture; respiration from trees; and primary productivity — the synthesis of organic compounds. “We’re attacking the question of soil carbon. There’s a lot of uncertainty in the global stores of carbon and understanding the process controlling soil carbon storage,” said Lohse. Soil provides a large portion of the food, fiber and services that life on Earth relies on. The data will shed some light on the process, but Lohse says they will need to be up-scaled for global applicability, which is a large goal for the Critical Zone Observatories. Data from six operating CZO sites are already up and available for download on the National Science Foundation’s website.